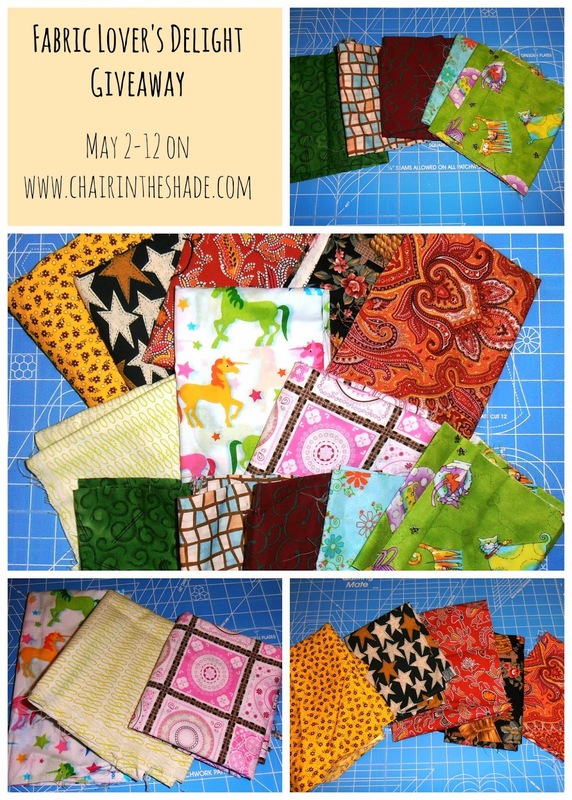 As promised, here's the first culling from my fabric destash attempts. The smallest are fat quarters and the largest are half a yard or so. So, you'll be getting approximately five yards, give or take. There's some cute novelty prints in this bundle- some unicorns, fat kitties, stars, florals. There will be more giveaways to come, as I do more spring cleaning, so keep your eyes peeled. To enter, just follow the Rafflecopter giveaway below. This is so generous of you and I see some awesome fabrics that you are sacrificing!! I usually try to go through all and declutter the closet and kitchen each spring. I usually try to deep clean as much as I can, I also try to get the entire house done. Awesome giveaway, the fabrics are pretty! Yes, pretty thoroughly. Ge through & get rid of stuff, steam clean the rugs, even clean the fish tank. Steel Cut Oatmeal for the Win!